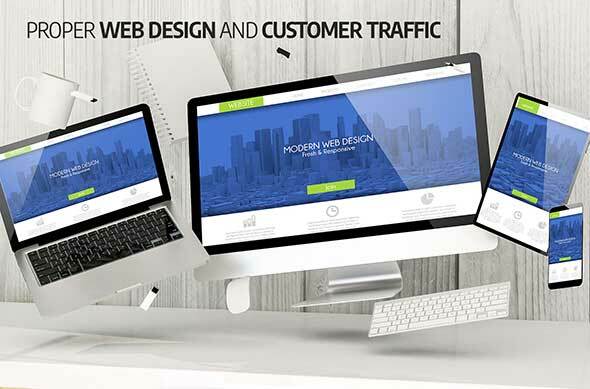 Increasing customer traffic in web design hinges on many different aspects. Responsive design, code optimization, SEO-friendliness, and having an uncluttered aesthetic all play key roles. The potential to capture users on search engines, social media, and through digital marketing is maximized when one knows how to successfully deliver quality across these channels. A web design agency like ours can help in achieving your goals. Mobile responsiveness is the ability of a web design to adapt to the screen size, ensuring everyone from smartphone users to those on tablets, desktops, and other devices can access your website the way you intended. A responsive design keeps your site user-friendly and maintains flow of navigation even when the screen is smaller. As a web design agency, we know the value in good coding. When your web design has been coded right, it keeps your site loading fast and prioritizes the user experience. No one wants a website that isn’t fast loading, has missing pages, redirects that go nowhere, and broken links. Coding is also an integral component to ensuring your site is indexed properly by search engines. Using an expert-level web designer, increase customer traffic by implementing search engine optimization (SEO) strategy. When done right, achieve proper search engine placement on relevant and localized search queries. Strengthen lead generation, conversion rates, and numbers across the board. From an aesthetic perspective, web design should deliver an uncluttered, professional appearance that makes it easy for any user to navigate. The cleaner a website looks, the more easily it can be read and navigated. Web design is a powerful tool though there are many different ways it could go wrong. Have an agency at your side as guidance and provide insight into what’s the most cost-effective, successful route to pursue in building your website traffic. To draw people to your website and to keep them there, all the technical aspects of web design need to be handled in addition to ensuring your brand is accurately represented. If there’s one thing we remain committed to at New Concept Design, it’s results. That’s what we come to the table with. Your website is many things – a sales hub for your digital activity, a 24 hours a day business card anyone can explore, and it’s also your best salesperson. If you want consumers to trust your brand and buy your products, the web design needs to be right. Professional, high quality web design is just a click away. With New Concept Design, you have a team of professionals working to get your coding, text, images, graphics, and online presence on track. Set your website apart with something that will catch attention and entice users to stay on your page. In its simplest definition, that’s what effective and proper web design does, and that’s how you increase customer traffic. Contact us to request free web design consultation. Previous Previous post: Do I Need to Set Up Security for my Website – Yes!